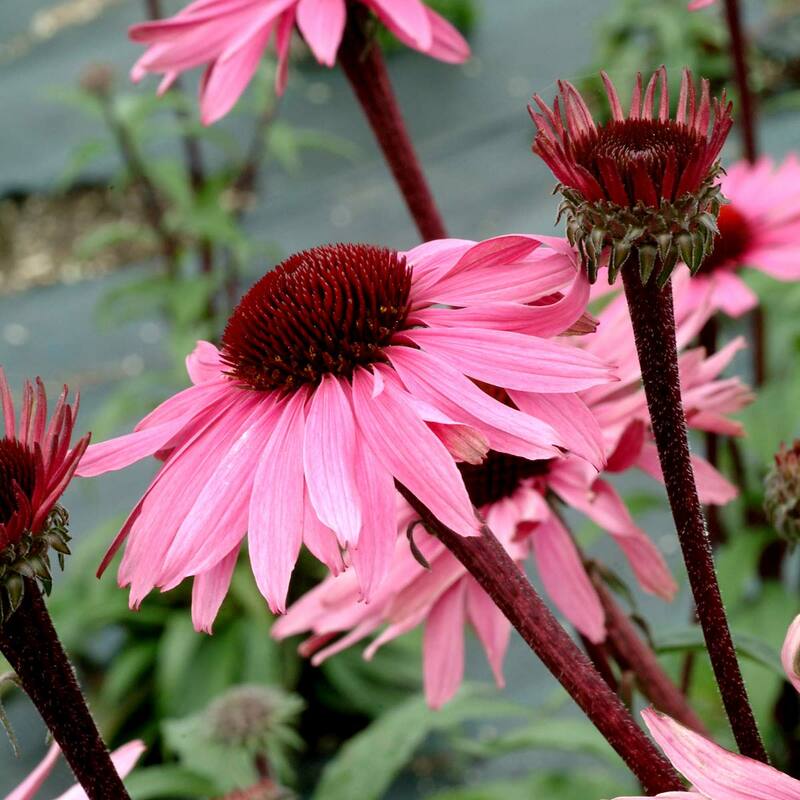 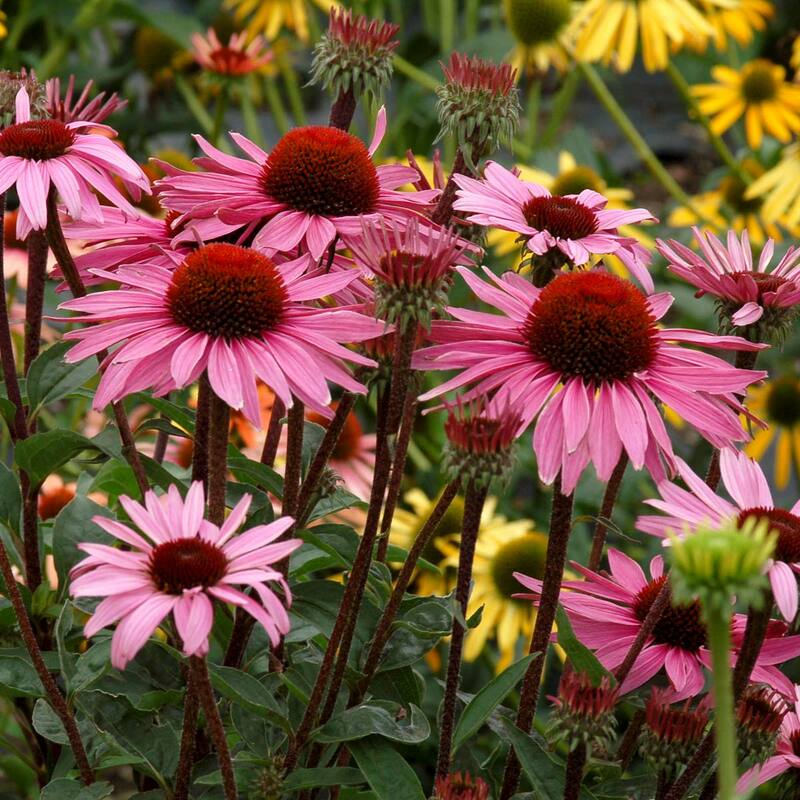 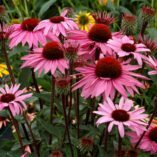 Echinacea ‘Merlot’ | TERRA NOVA® Nurseries, Inc. 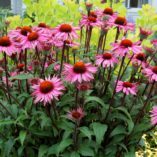 Huge 5″ wide, rose pink flowers centered with orange cones sit atop stunning, well branched, burgundy-black stems. 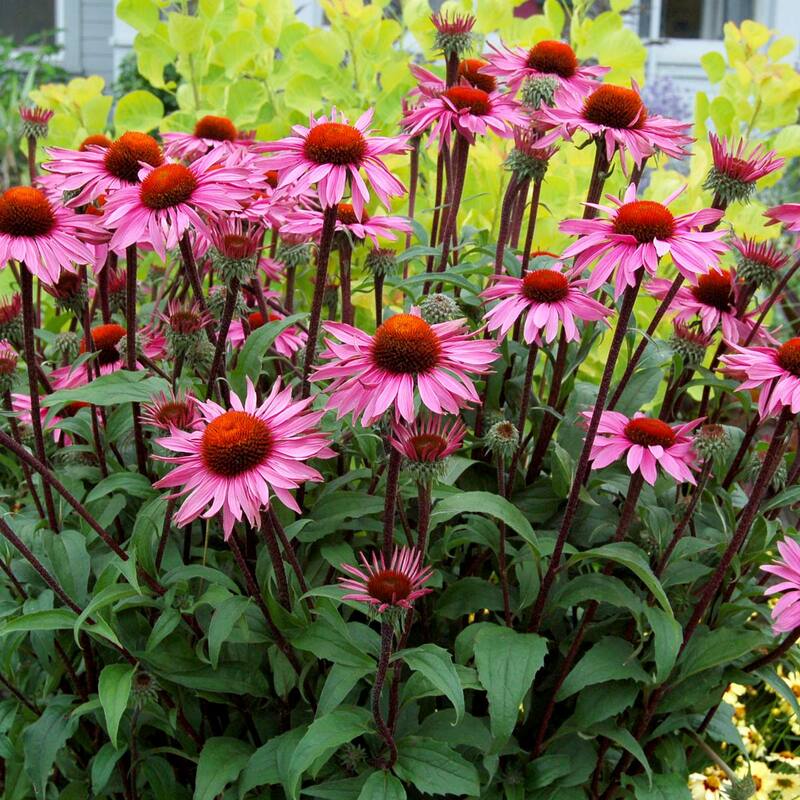 These are strong enough to break scissors! 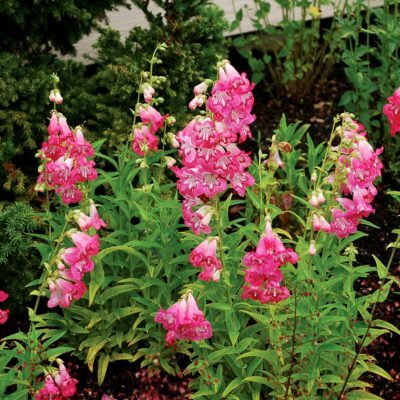 Like a fine wine, this beauty has great fragrance. Thirty five flowers graced our second-year plant. 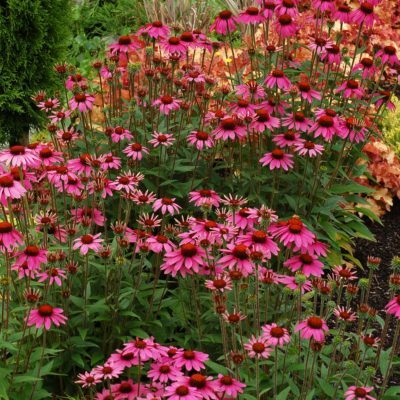 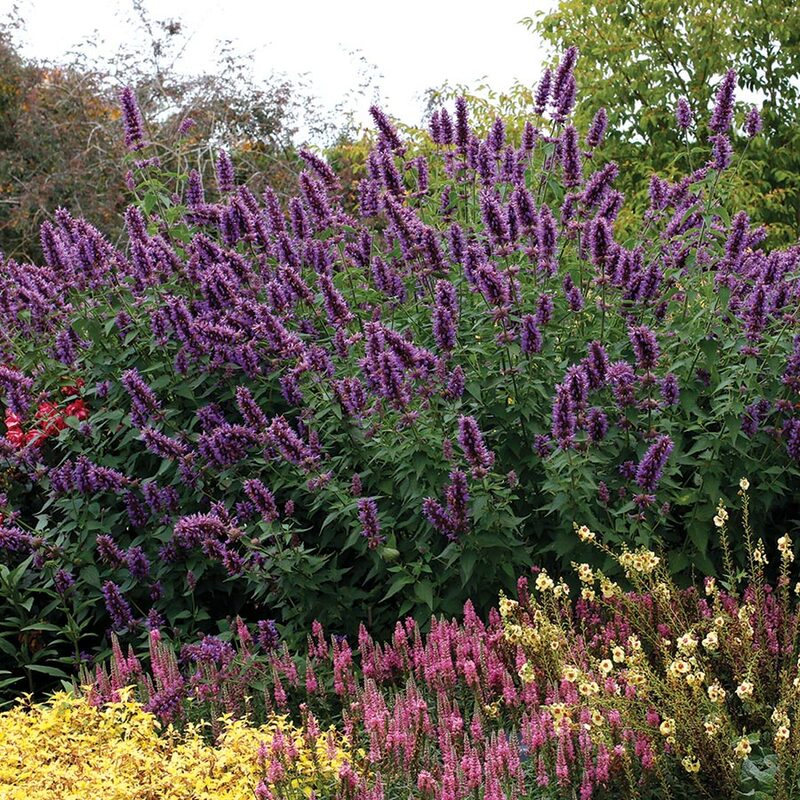 Was given the Dallas Arboretum Seal of Approval in the Perennials for Purgatory trials. 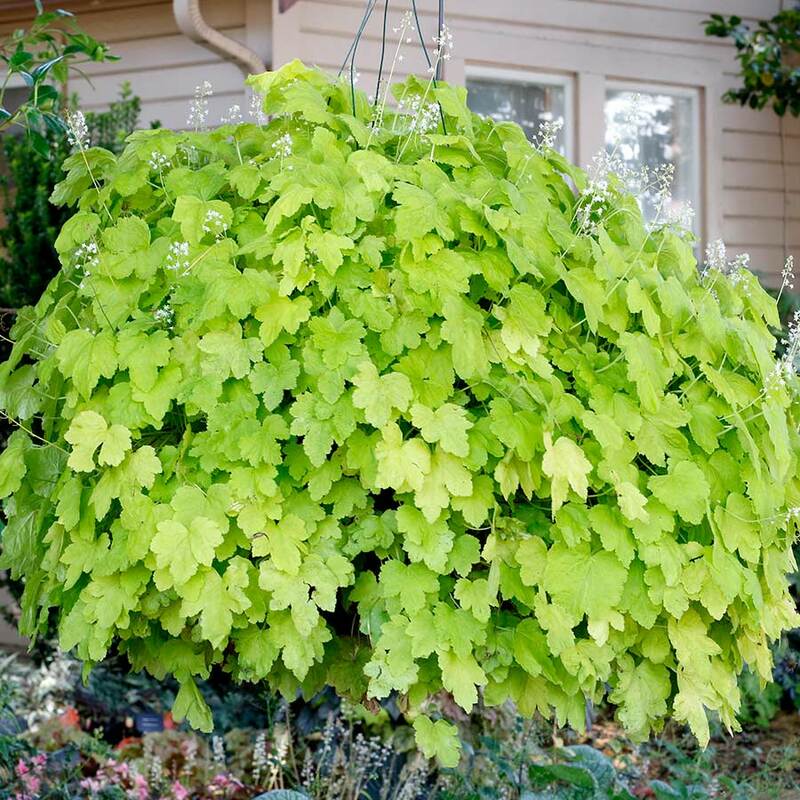 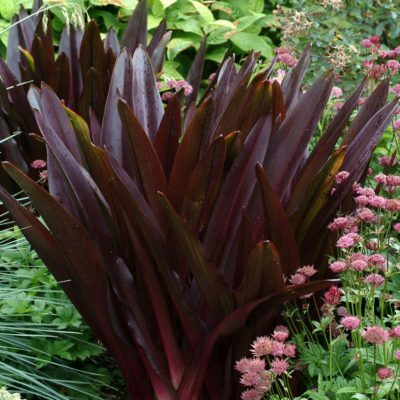 27" / 34" / 30"
It has very large flowers combined with wine red stems and petioles. Wonderful in mixed beds, borders in the sun garden. 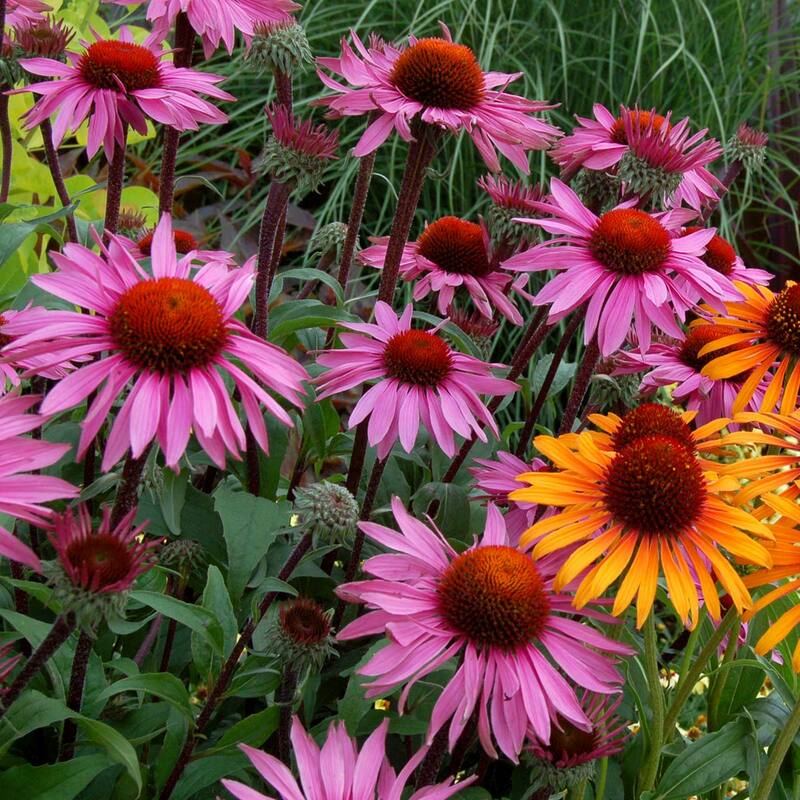 Great cut flower. 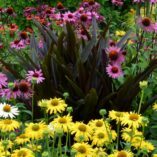 Was given the Dallas Arboretum Seal of Approval in the Perennials for Purgatory trials.